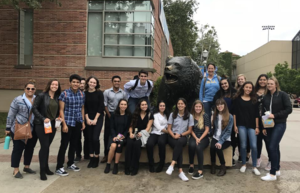 A group of seniors in El Segundo High School’s Biomedical Science Pathway recently experienced “a day in the life of an anesthesiologist” thanks to a pilot partnership with UCLA’s Department of Anesthesiology and the California Society of Anesthesiologists (CSA). 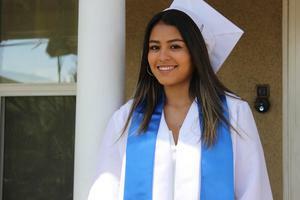 El Segundo High School (ESHS) alumna Vanessa Gonzalez entered the Visual and Performing Arts Pathway as a freshman, completing four years in the pathway and submitting a comprehensive Advanced Placement (AP) art portfolio near the conclusion of her senior year. St. Bernard's field is out of operation as their turf is being replaced. 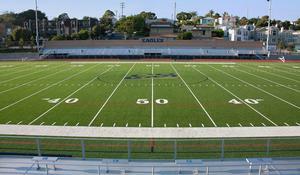 They graciously hosted us in the past when the El Segundo High School turf was replaced. Center Street School is proud to be recognized as a California Green Ribbon School for conserving resources and promoting health and environmental literacy. 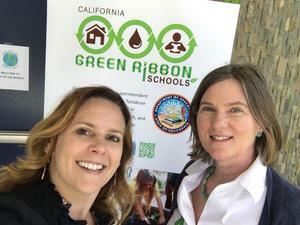 The U.S. Department of Education selects California Green Ribbon Schools from a nominated pool of schools and districts that embody environmental excellence. Please click the headline to view Executive Summary of the ESUSD's 2018 Amended Long Range Facility Master Plan. 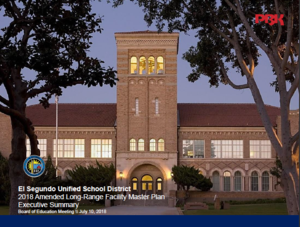 Please read this important Special Education Issue in the El Segundo Herald, covering school safety, the ESUSD Long-Range Facility Master Plan, Next Generation Classrooms, and more! The El Segundo Teachers Association and the El Segundo Unified School District are happy to announce the Educators of the Year for 2017-2018. Each year, the El Segundo Teachers Association coordinates nominations and the selection process to honor one teacher at each school site. 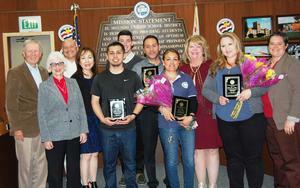 Click the headline to see who are ESUSD’s Educators of the Year! 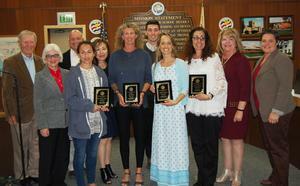 ESUSD recently announced its Classified Employees of the Year for 2017-2018. 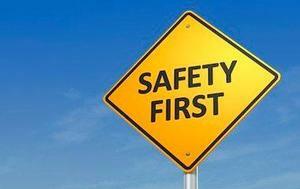 Click the headline for the list of honorees.